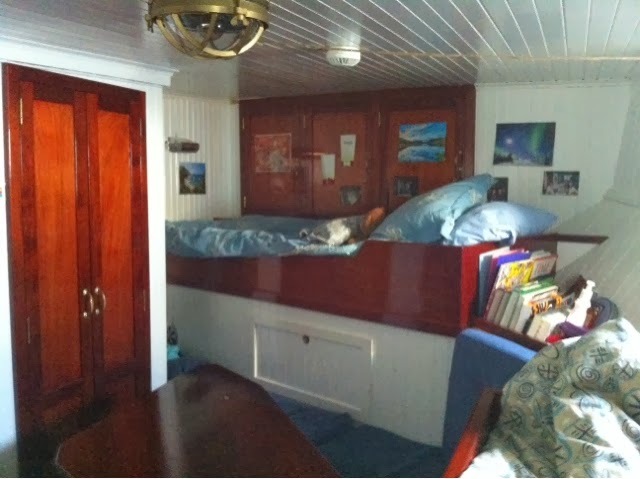 My cabin is on the port side in the aft ship, and it's pretty far aft, there's only one cabin past it. I share with Anna-Marie, one of the teachers and we get along quite well. It's another case of it being a small world as she's from Toronto! If you look closely you can see a corner of the seat/couch in the lower left corner (it's blue). Under my bunk is a set of cupboards where I keep my clothes. They lock which isn't really for security as much as keeping the doors from swinging open when we're rolling. My eight-year-old self would have loved this feature but now it's slightly annoying. 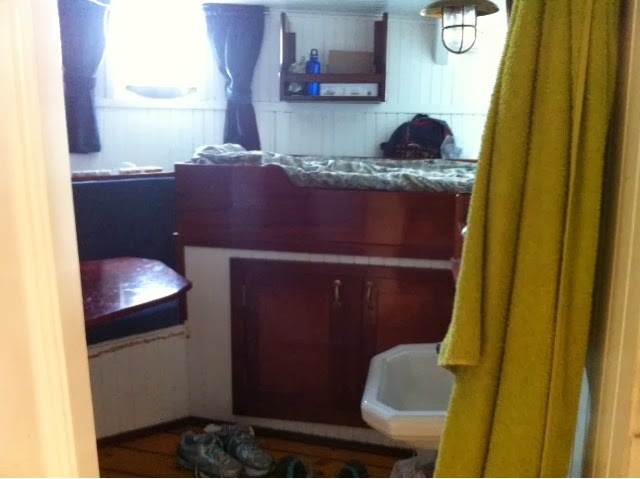 Our closet is on the left there, you can see more of the seat and the table as well as Anna-Marie's bunk. Behind the seat is an open shelf (where the books are). Beside the closet is a hook and our mini "information station" and beside that is the door. 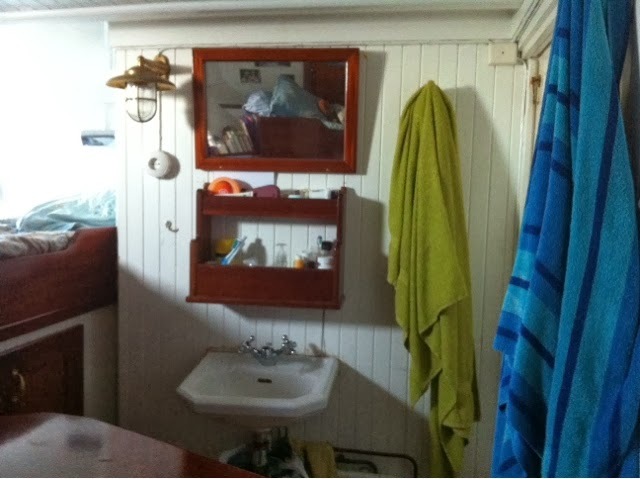 On the other side of the door we have a sink which is very handy. Much more convenient then sleeping in the banjer and having to go up a level to brush your teeth! 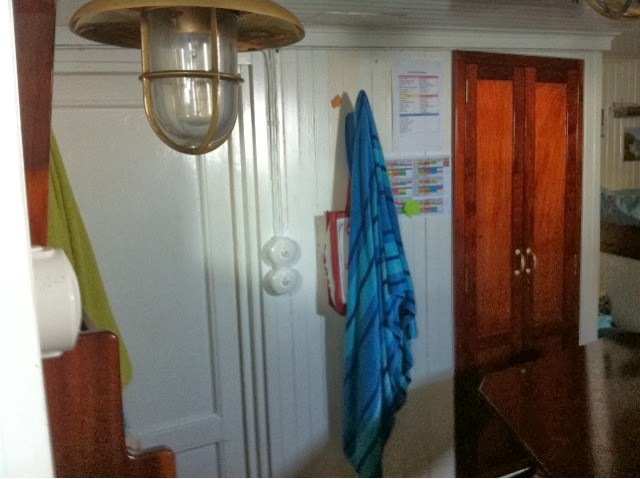 Next door there's heads (toilet) and the showers are down the hall and down the stairs but accessible without going out on deck. So that's the mini tour of my living quarters, hope you enjoyed it! PS. 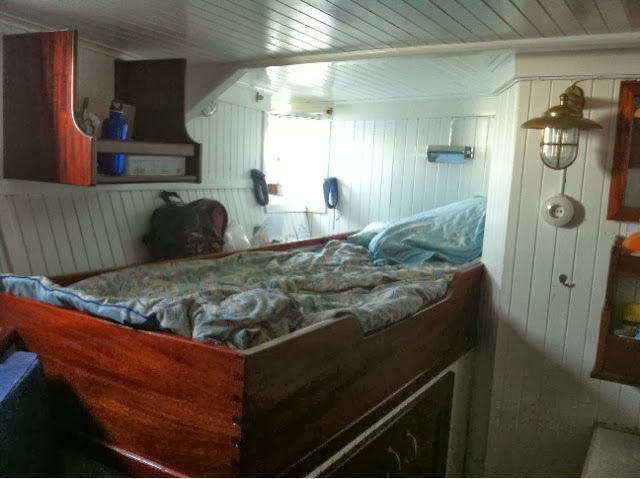 Since writing this Anna Marie and I switched bunks - equal opportunities next to the porthole!